I’ve been running trails and obstacle courses for a few years now. I was introduced to the ARION insoles during my physiotherapy studies in Eindhoven for my graduation project on running injuries. I used the insoles on my research participants and loved it so much that I asked ARION to use them during a race. I took part in one of the most famous trail runs in France this last December; the SaintéLyon. 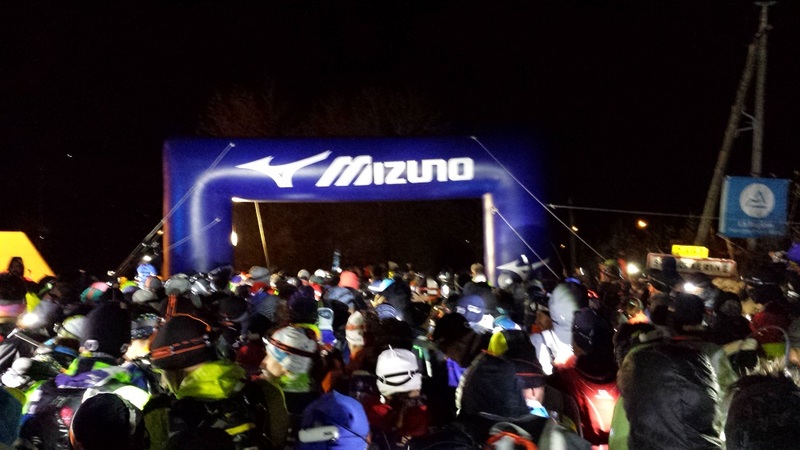 This race offers 4 distances from 12 to 72 km and has a major particularity: it starts at midnight. I ran the 45 km distance and was lucky enough to have the opportunity to train and race with ARION. The major training issue for this kind of race was to get used to run by night on trails. During my preparation I did my baseline run with ARION by day on road at racing pace. With an initial baseline run ARION captures a full profile of your running technique. The goal was to bring my running technique during a trail run by night as close as possible to my running technique by day on the road. I have to say that I was quite successful in that regard with ARION. For the training I selected a mountain bike path in one of the Dutch national parks, without disturbance of artificial light. I did several shorter tempo runs and easier longer runs there, ranging from 12 to 26 km. My training sessions were at night while always using ARION. It took a while to find a metric to be coached on during race day, due to the trails uphills and downhills, as well as the rough nature of the trail. I selected a cadence technique training for both training and race day, the only metric unaffected by terrain. I set a target zone of 172+ steps per minute which is my average cadence from the baseline run. I also found out that the real-time audio feedback was very useful to keep a high cadence during both uphill and downhill runs. During race day my main concern was about the battery life, especially with the cold. The bus took us from the finish line to the starting line, in the small village Sainte-Catherine in the Lyonnais’ mounts. 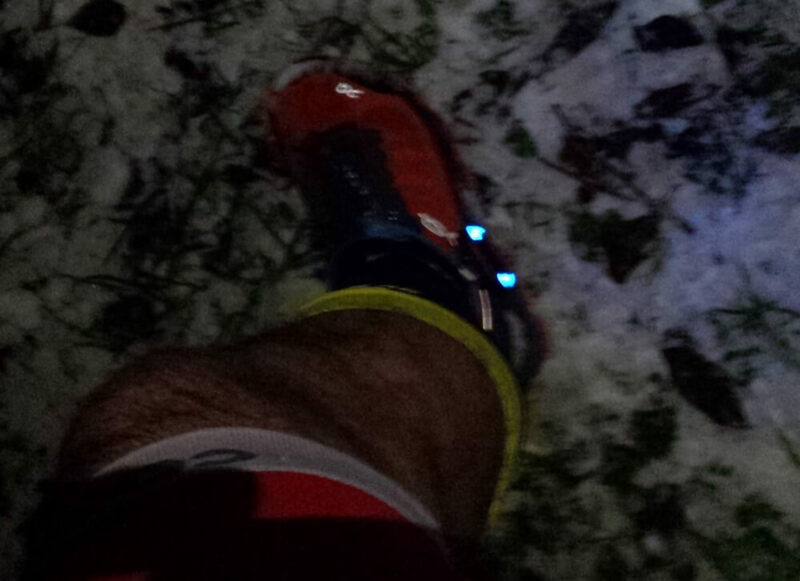 Snow, ice, and -8 °C were waiting for 3000 trail runners and me there. I kept the ARION footpods in one of my backpack pockets to save battery and connected them to the insoles in my shoes just before my warm-up. 15 minutes before the official start I headed towards the start line, opened the ARION app and paired the pods. As the speaker announced the start in one minute, I made sure the pods were still paired and started my technique run 20 sec before the start. My phone went back in my backpack shoulder pocket to make sure I could hear the audio feedback. As expected the constant reminder of the cadence target zone proved to be surprisingly efficient during uphills runs, when it’s important to maintain a higher cadence. It also helped me to get an edge over other competitors, especially knowing that uphills are not my strong points. During too steep uphills, when running is not possible anymore, the constant feedback that my cadence was too low could also be quite annoying. I was yelling “oh shut up” to my phone during these tough moments. Something that could be improved. ARION also proved quite efficient in a race scenario during the last part of the race. When everything hurts and you want to slow down, the audio feedback really helped to keep pushing forward. I felt like having a coach running alongside me. When others were slowing down, I was keeping my pace. This allowed me to come back from the 123rd position at the 10th km to the 60th position at the finish line after 45 km. Overall I was more than pleased with ARION for both training and racing. I never noticed wearing the insoles during the entire race. It really helped me push forward and maintain my form during the entire race. I would advise it to any runner trying to push forward in any race. Let us know in the comments below what your thoughts are on Thibault’s story! Make sure to subscribe to our blog or follow us @arion.run for more.